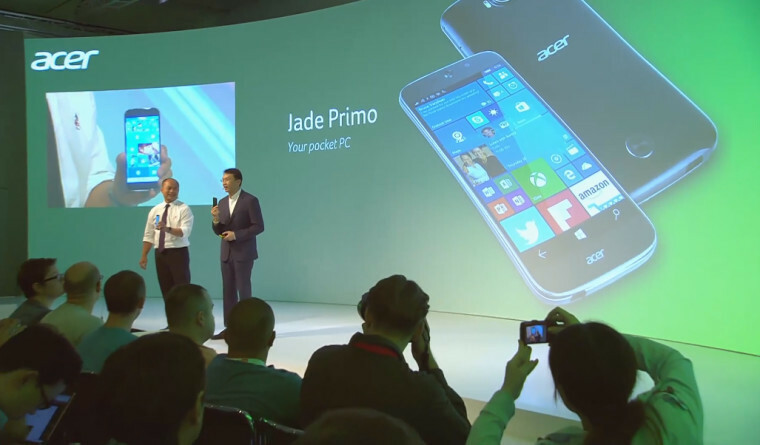 Last month, Acer unveiled its new Windows 10 Mobile flagship, the Liquid Jade Primo. As you'd expect, the device features plenty of high-end specs (although one account suggests that it may not feel quite as premium as some of its rivals). Today, at an event in the Philippines, Acer announced pricing for the device for the first time, giving some indication of how aggressively it will be chasing sales of the handset it calls "your pocket PC". 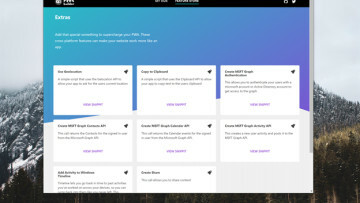 That's because the Jade Primo will include support for the Phone Continuum feature in Windows 10 Mobile, which lets you connect a mouse and keyboard to the handset via an optional dock, which you can then hook up to a monitor or TV -effectively turning the phone into a Windows 10 mini-PC, complete with a desktop-style interface and Start menu. 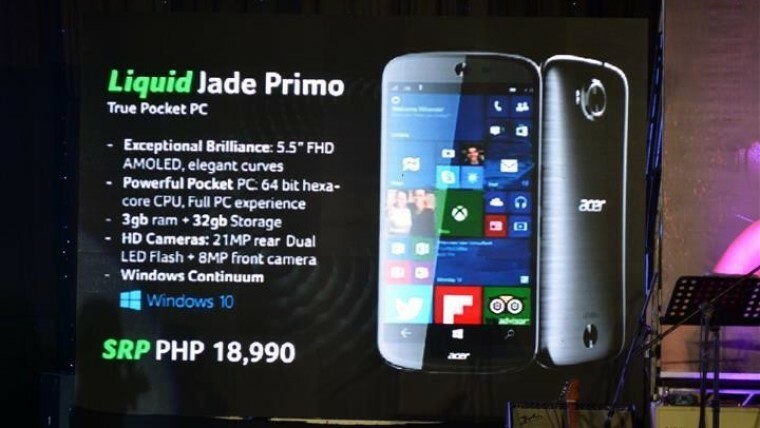 As SemiCurrent reports, Acer announced today that the Liquid Jade Primo will be priced in the Philippines at 18,990 PHP (roughly $410 USD), although that doesn't necessarily mean that it will cost exactly the same in other markets. But to put that figure into a local context, Apple's cheapest iPhone 6 (the 6s isn't currently available there) costs 31,990 PHP in the Philippines, almost 70% more than the new Acer handset. The LG G4 - which closely matches many features of the Jade Primo, with the same hexa-core Snapdragon 808 processor, 5.5-inch display (albeit Quad HD vs the Acer's Full HD), 3GB RAM and 32GB of storage - also launched in the Philippines earlier this year for 31,990 PHP. 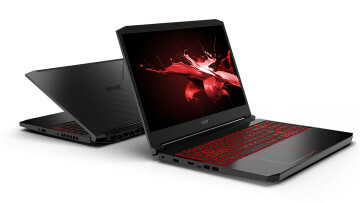 In fact, at 18,990 PHP, Acer's new flagship is priced at roughly the same level as many mid-range handsets, including the ASUS Zenfone 2 Deluxe (roughly 17,300 PHP), Lenovo Z90 Vibe Shot (around 18,000 PHP) and Samsung's Galaxy A5 (19,990 PHP). So on paper, at least, the Liquid Jade Primo looks like extraordinary value, and if Acer prices its new Windows 10 Mobile flagship as aggressively in other parts of the world, it could be onto a hit. 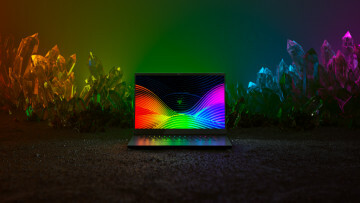 The company also said today that the device will be available in 'bundle configurations', likely referring to its commitment to sell the handset with a keyboard, mouse and dock for customers wishing to use Phone Continuum. Neowin's reporter in the Philippines, Justin Luna, contributed to this article.